Folk Jazz trio Elixir features Jazz saxophonist Zac Hurren and singer Katie Noonan and has existed since 1997. The trio has enjoyed much success and great commendation along the way including: an ARIA Award (Best Jazz Album 2011), 13 weeks at #1 on the ARIA Jazz Chart, TV & Festival appearances and most recently a tour to South East Asia. The trio exists to explore new musical opportunities and relationships and thrives in unusual collaborative environments. Elixir seeks to explore the relationship between text and sound and celebrate great Australian poetry. Their latest collaboration sees them set incredible music to the iconic poetry of national treasure – Michael Leunig. Since their self-titled first album became a top 20 best-seller upon its release in 2003, things have changed for Elixir! Katie’s husband Zac Hurren provides his mellifluous, lyrical saxophone lines, as distinctive a feature of the Elixir sound as Katie’s sublime vocals themselves. While Katie is the obvious public focal point, Elixir is a trio of musical equals. Zac Hurren won the National Jazz Award (in 2009), and is a truly unique and distinctly Australian saxophonist, composer and improviser. Steeped in the jazz heritage of Coltrane, Shorter, Coleman and Shepp, Zac’s debut album ‘Exordium‘ was released in Australia in 2007 on the Jazzhead label, receiving critical acclaim and heralding a triumphant new arrival on the contemporary jazz scene. The second album by the trio “First Seed Ripening” was released in August of 2011. Debuting at #1 on the ARIA Jazz charts where it spent 9 weeks, “First Seed Ripening” then went on to take out the 2011 ARIA Award (Jazz category). 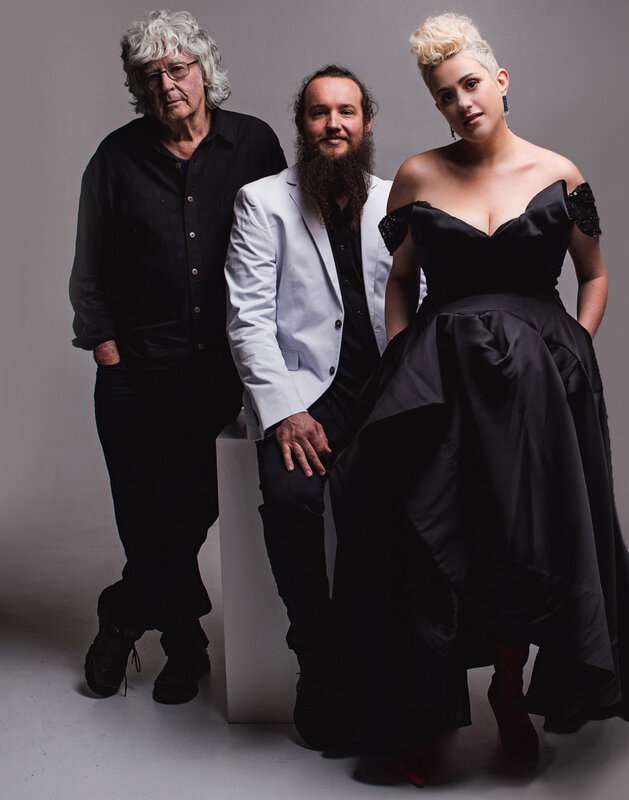 The trio’s latest album ‘First Seed Ripening‘ is largely inspired by the words of legendary Australian poet (and winner of the 2000 Patrick White Award) Thomas Shapcott. In penetrating deep into the heart of Shapcott’s words, the trio enlisted the help of string players from the Australian Chamber Orchestra (with whom Katie has worked regularly), and leading jazz players Jonathan Zwartz on bass and Simon Barker on drums. ‘Our aim,’ Katie says of the album, ‘was to make gentle, intimate music, and it was all about freedom and spontaneity.’ Recording at an unhurried pace, the trio allowed themselves the time to explore every nuance of Shapcott’s subtle, deeply humane poetry. But whilst the majority of songs on First Seed Ripening feature lyrics by Shapcott, there are also the kinds of inspired covers at which Elixir have always excelled. Joni Mitchell’s My Old Man comes in for particularly impressive treatment, while Split Enz’s I Hope I Never, composed by Katie’s song writing collaborator Tim Finn, makes for a particularly moving conclusion to the album.